Have you ever considered an alternative energy source for family camping trips and emergency power outages? Or, what about just an alternative energy source just to lighten your home's electrical load? At Wing Solar & Wood Energy, Inc. we have your solution. We offer a complete inventory of solar powered generators to meet your needs. 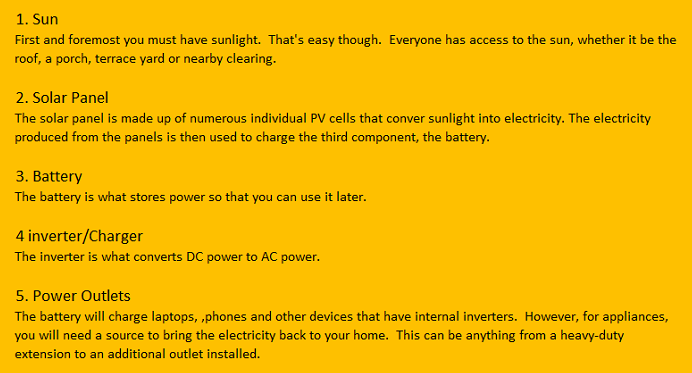 Below we have summarized four different types of solar-powered generators that can be use for both indoor and outdoor purpose. This should provide a better understanding so that you can choose one that suit your needs. 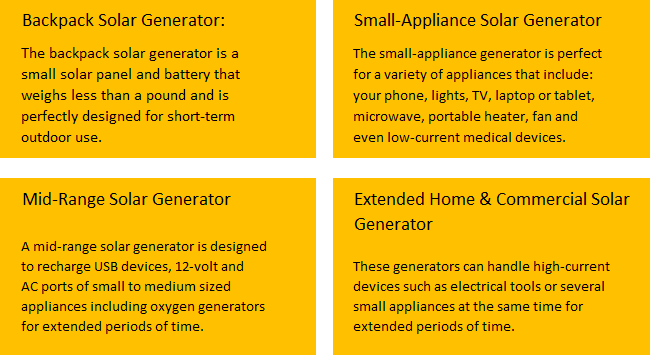 How a solar-powered generator works is just as simple as choosing one. There is actually just 5 simple components. Let's learn further. At Wing Solar & Wood Energy, Inc. we are proud to remain Northern California's premiere alternative energy solution. 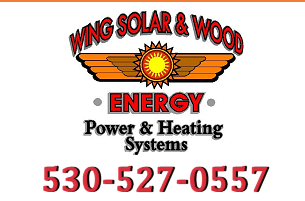 If you have further questions or would like to schedule a consultation with our client care specialist, please contact Wing Solar & Wood Energy, Inc. toll-free at 1-800-492-4061. For your convenience, you may also request more information from this site.